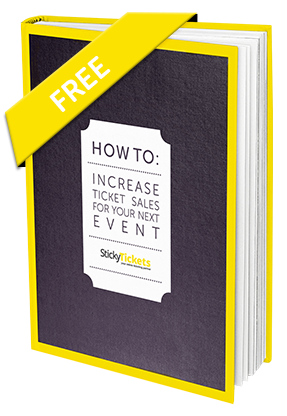 When you create your event with Sticky Tickets, your event will have its own web page where you can direct people to purchase tickets or register. 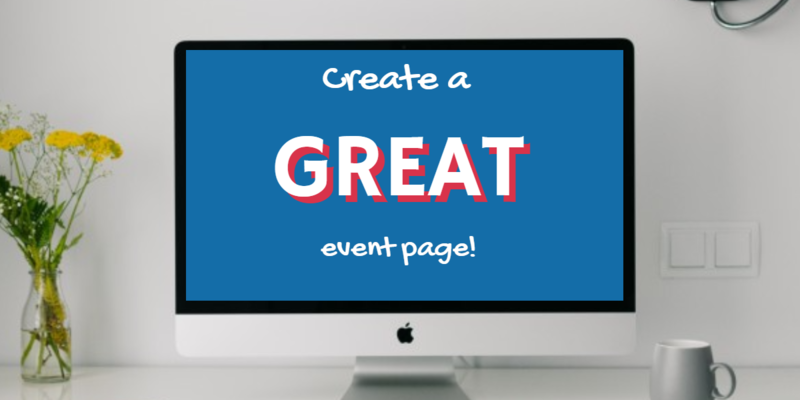 Creating your event page is not difficult, however it is something that you should take seriously if you want a successful event. 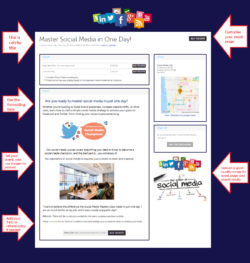 Keep in mind that there are many, many event pages out there, however they are not all created equal!! Here are some tips on how to create a great event page, increase interest, and hopefully sell more tickets! Name- Once you have clicked on ‘Create Event’, the first thing to do is come up with an event name. The name needs to grab attention and be easy to remember, so try and keep it short and catchy so it looks good on promotional materials, and makes people want to find out more! You may even want to put one or two key words in the title that people looking for an event such as yours might search for. Time, location, organiser- Setting the time of your event is straightforward, as is the location. Wherever you can it’s a good idea to use the map feature as it is easy to see and gives people a better idea of where your event is at a glance. The event organiser entered is the name and details of the person where all enquiries will be sent to. Description: This is where you sell your event! Think about what the ticket purchaser will want to know, and need to know. There doesn’t have to be so much copy that people don’t want to read, however you need to have enough to make people want to come. Here is where you provide details of the event and let potential ticket purchasers know what they’ll get for their ticket price, so they can see the value. If there are different sections, you can use headings and use the formatting tools to customize the look. It’s a good idea also to include your refund policy, if you have one. If you have Terms and Conditions and they won’t fit in the description, you can provide a link. Now you need images!!!! Add visual appeal with video or images showing what to expect at the event (and what they’ll miss if they don’t go). Don’t forget that as well as including images in the event description, you should also upload at least one to the image gallery, so that it displays in search results. Another feature to take advantage of is to customise your event page, to keep your branding and look. Ticketing: You can also create interest in your event with your ticketing. Creating an ‘Early Bird’ ticket can encourage early ticket sales, particularly if ticket purchasers can see how much more they will pay if they wait. Also describe in the ticket name the extras ticket purchasers will receive for just a bit more, such as VIP access, access to networking events etc. If you would like to provide a discount or free tickets to certain people, you can set up your promotional codes. Remember to set your event to ‘Public’ if you would like it featured by Sticky Tickets and discoverable via the event search engine, or ‘Private’ if you would only like to provide the event URL to certain people. If you have multiple events and/or regular events, you may also want to set up your own Organiser Page. This will have all of your contact information, and will list all of your current and live events, updated automatically. This page can be customised also and the URL always stays the same, so can easily be used on marketing materials. It is not difficult to set up an event page, however it may be worth taking a few minutes to create a great event page, making it more appealing to potential ticket purchasers. Whether you have an event coming up or not, you can always register to become an organiser with Sticky Tickets at no cost and no obligation, and set up your own dummy event to test your skills!